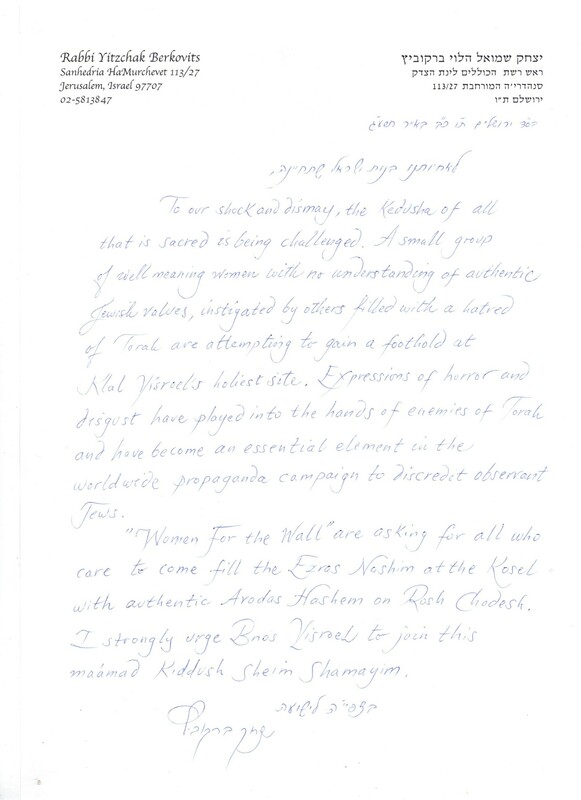 To all the Orthodox and traditionally minded men and women who support the women of the wall, because of your wonderful Ahavat Yisrael and desire to help people be spiritual (and I truly admire that, its not a criticism), even in ways that�differ from your own- what about when it comes at the expense of traditional judaism, i.e. your values? If women of the wall just wanted to pray, that would be one thing, but they’re not after that. 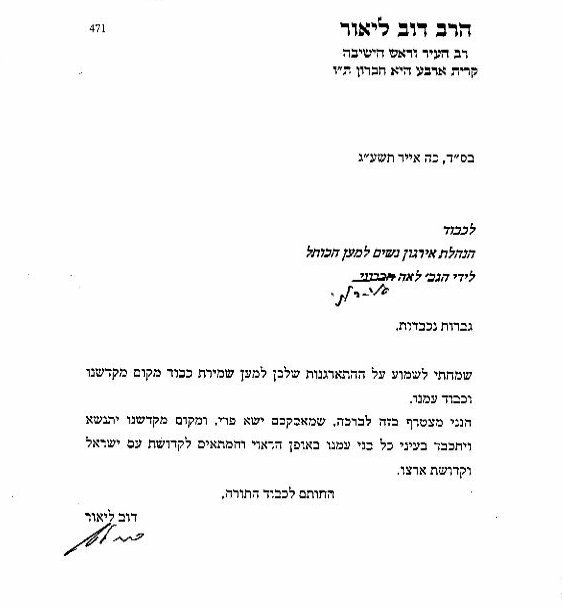 This is a quote from Anat Hoffman, head of Women of the Wall: “Allow men-only prayers from 6 a.m. to 9 a.m., then take down the partition that separates men and women and offer access to everyone for six hours each day as “an open national monument.” In other words- allow separate davening with a mechitza only 3 hours a day, and the rest of the day, make the kotel mixed. Do you support this, or do you want to be able to daven in separate areas, with mechitzas? Yes, I know for a fact that there are torah observant women and women without an agenda who sincerely just want to pray with women, who align themselves with the women of the wall. I ask them- why do you chose to align yourself with a woman and organization whos goal is to make a kotel where even YOU are uncomfortable praying? If Anat Hoffman got her way, and the women of the wall succeeded in their goal of abolishing the mechitzos at the kotel other than from 6-9 am, would you feel comfortable davening at the kotel anymore? “If women of the wall just wanted to pray, that would be one thing…” So then you’re fine with individual women and small groups of women wearing Talitot and Teffillen?